Creating your own website or blog has several objectives. Usually, they are commercial projects which, first of all, require visits and popularity. How to successfully compete for the attention of the Internet audience and the planned rise in the rankings of search engines? This question is answered SEO simple fact of its existence. This article, we deliberately created as a comprehensive reference material, in which there is useful information for everyone. You are a beginner, making his first steps in site building, content optimization, and want to fill occupational vocabulary, develop the conceptual apparatus to the level of the pros? Or a website owner who wants to know how the SEO-experts, and for that you pay them? Or maybe you are a professional seeking to optimize their work as much as possible? We thought about each! Go to for you informative addressed block, get answers to their questions and leave your comments. Search Engine Optimization or abbreviated as SEO – complex-designed measures to optimize all components of site inside and outside, aimed at increasing site traffic and its position in search results when assessing these parameters search engines. SEO works on organic coverage includes technical and creative elements to improve the ranking. Simply put, it’s what we do to increase traffic flow and customer growth in popularity of the resource. For those who are just starting their thorny path in this direction, once a reservation: it’s not so scary, because WordPress offers carefully prepared plugins that perform an enormous part of this time-consuming process. On them will be discussed below. Why Your Website Needs SEO? The overwhelming percentage of web traffic is controlled by large commercial search engines such as Google, Bing, and Yahoo! Expert forecast Forbes for 2018 highlights the growing trend values of machine learning and artificial intelligence for a revolutionary change in search engine algorithms. Along with the already successfully operating a self-learning system RankBrain, systematic work on improving in particular and ranking. Thus, the parent company Google Alphabet Inc. It invests heavily in training and computer AI. By the way, RankBrain named in the top three most important Google ranking more options along with links and content in 2016. The undisputed leader on the heels Yelp and Amazon, as well as digital assistants, such as of Siri, which evolve into independent search engines. RankBrain (literally, which ranks intelligence) – a self-learning system, the use of which was approved October 26, 2015, Google. It provides a ranking of the most relevant results. It named the third most important factor in the Google algorithm on a par with links and content. Makes “suggestions” about unknown words or phrases, it filters the results for popular and new user requests. Interprets requests, resulting in the issuance of the results is carried out not only by words but the meaning, the content of the texts. Constantly evolving. Search Engines are smart, but they need a little help if you want noticeable results. You may say that social networks and other ways traffic can generate visits to your site. This is partly true, but that the search engines today are still the main method of navigation for most Internet users. If the search engine experiences the slightest difficulty in finding your site and adding content to their database, the consequences can be fatal for your site. all actions aimed at improving the ranking can be divided into work with internal and external factors affecting the results of the SERPs. In order to avoid sanctions from the search engines are getting smarter by the day, it is better to abandon the so-called “black practices» SEO-optimization: Network satellite sites, artificial link building due to sites with a bad reputation, keywords over-spamming and others. Let’s talk about links, since they remain in the top three most important ranking factors. Links are internal and external. Within the site is important zalinkovat pages correctly. Those. competent to bind them together. Why do it and how to do it correctly? Improves the usability, in other words, the convenience for the user in contact with your site. This is what will see when visiting the site and trying to communicate with him. Sites, pleasant in all respects, could serve as a model of convenience and friendliness, they are useful, intuitive, possess qualities such as comfortable navigation, configuration taking into account the interests of real people and their psychology. Now, with the evolution of search engines and their algorithms, meaning and benefits come to the fore and the ranking. Interaction with such sites are easy, the information in the right quantities and of required quality is fast, and the overall impression is so good that people prefer to keep such sites in their browser bookmarks, do repost in social networks and to return to these sources – and it is also very important for SEO! Promotion of the page in search results. If you take care about the meaningfulness of transitions within the site’s text in the text with a similar content and wisely choose anchor text – anchor text links – not only visitors will be pleased to longer and more productive to stay on your site, but search engines it will take into account and, of course, approve . The increase in the weight of the page. What is the weight of the page, how and why it increase? Weight pages – it’s practically “gold reserves” resource. The richer the site in this sense, so it is higher in the eyes of search robots. You’re not going to blindly believe the newcomer without biographies and recommendations? And search engines “are looking” for new sites and their weight. Conventionally, it is assumed that the weight of the new page zero. Exactly as long as it has not received the link inside the site or from another site. To give weight to all pages of the web resource links “looped”, that is, a closed chain links literate. Not to dispel the currency in the wind, it is important to close the ring and here’s “perpetual motion”! Pages do not have to rely on each other, otherwise, it resets the result. Ideally, with the promoted pages do not link to external resources. You’re not going to throw their money right and left? So why give your weight to other sites? If the link can not be avoided, it is better in code designated as the nofollow, the search engines know that you do not put your trust and the weight on one side. The text links. Varied and numerous links to other relevant sources look very weighty. Suspiciously many links with the same type of text can cause suspicion of artificiality and even lead to a ban on a particular request. The authority of the referring site. The higher the credibility of pages and resources from the outside, the more significant are links to it. To advance to issue a particularly useful reference for you to sites that have high rates TCI (Thematic citation index, the algorithm developed by Yandex) and PageRank(Themethod of calculating the weight of the page, the Googlealgorithm).TIC is defined for the whole site, and PageRank for each individual page. Why is the site’s reputation, with which there is a link to your site? Even if such links do not transfer the weight on them has been increasing the number of transitions to visit and authoritative source. And this, in practice, sometimes even more effective than hundreds of links from obscurity and obscure pages. Relevance of the site and the link itself. The quality of links is determined by its textual content and the location at the thematic resource. So, if you produce construction equipment, the link from the site nail salon looks at least strange. Especially when in the text of this link is no hint of your products. Age and links, in particular site. “Old”, reputable sites, elders are much more useful to beginners in this sense. Provided that they are not abandoned and continues to develop rapidly. Link type. Sheer reference should be active without a tag noindex and nofollow attribute. Perfect place links – content. And the themes and context must be the same with yours. Limitations on the number of links is notimportant only that they were of good quality and different domains. Reciprocal links are not as effective, but they are no less valuable if we are talking about similar topics. Rel Nofollow – Since the links are considered to be “approved” by the search engines, you need to be careful when transferring their virtual thumbs. To tell the Google, that you are hesitant to support a particular site, sometimes you need to set a reference to rel = “nofollow”. This plug-in makes this work is very simple: you need to add the appropriate checkbox in the pop-up window insert / edit link. When the crawler sees the nofollow in the link, it does not follow it to the new site does not account for its popularity in their ranking and does not include text links in ranking relevancy for those keywords. Thus, the search engines will not penalize your site or blog for such “non-approved” you reference. Link Checker – plug-in checking references, which helps to crawl your site to find broken, “broken” links and images. It uses an external server managed by the plugin developer. In contrast, search engine tools, such as Google Search Console, which is triggered if the URL-address of your site is not available, Link Checker finds all the “dead” links. The basic version is free and scans up to 500 URL-addresses. If your site has more number of URL-addresses that can be purchased for a token Link Checker Professional, which will allow to check up to 50 000 URL-addresses. Broken Link Checker – After installing the plugin will begin to disassemble your messages, bookmarks and other content in the search links. Depending on the size of the resource it can take from several minutes up to an hour or more. When parsing is complete, the plug-in will verify each reference to a “viability”. You will be able to monitor progress and adjust various settings for scanning links in the plugin settings. List of “broken”, not working links will appear in a new tab. The notice will also be displayed in the widget Broken Link Checker. There is the possibility of sending e-mail notification, which is activated separately. Of course, a list of useful, at this point, plug-ins is not limited to the aforementioned trio, but it’s enough to start with. Internal optimization involves not always obvious to the naked eye, but it is very important to work on the quality of the resource. This prescription meta tags, site optimization for mobile devices, improving download speed and content piece of work that most content. Usually isolated to 200 settings within a resource. All these manipulations aimed at attracting “target Disabilities,” that is quite concrete actions expected from visitors to your site. This could be filling in the form, entering personal data, registration, registration of the application, calculated on a calculator or other interaction, demonstrating the interest of visitors. For reference: SEO-Lida has success rate on closed transactions 14.6% vs. 1.7%, came from the other channels (direct mail, print ads). How to register the meta-tags, and for what? Affects the appearance and positioning of pages per issue. Helping to promote the site (blog) on the desired keyword (needs of the target audience). Make the most informative search for potential users of the resource, presenting it in a favorable light as to meet the expectations and requirements for content. Record the important data about each optimized page. It’s worth noting that, other things being equal, search engines will give preference to the web resource with competently prescribed meta tags. How to register the meta tags for SEO site? Google’s new algorithms fordrawing up meta tags title, description and keywords using keywords and phrases that users will be able purposefully to find your site. Note that the tendency “extracting meaning” in 2018, ie, based on artificial intelligence algorithms is not a primitive way isolate queries and calculate their density. In fact, in the rankings consistently wins it is quality content that meets the expectations of the person seeking the information he needs. As for the content of pages and the use of specific keywords and their density, the texts are not worth oversaturate them, it can even harm the site. Due to the renewal of Hummingbird, Google pays more attention to semantics than words and phrases. Hummingbird (Hummingbird) – Google search engine algorithm, launched August 30, 2013. Suitable for searches from the intellectual point of view, the use of new technologies in conjunction with the functions of existing algorithms to him. So named by analogy with the speed and accuracy of a tiny bird. There are currently known algorithms and other most popular search engine. Each of these changes our view on the work site with SEO, cutting artificial contrivances unfortunate SEOs. So, July 24, 2014 was launched Pigeon(Dove),then updated in December of the same year. The aim was to provide more relevant local results based on the searcher’s geographic location. He touched only the English-speaking segment. Continuation of the search and localization trend began following algorithm Possum(Opossum),which was released on September 1, 2016. A major filtering algorithm that has subjected the holders of the same phone numbers and / or addresses. Fresh algorithm Fred from March 8, 2017 filters and eliminates low-quality pages from search results. “Sacrifice” by Fred can be a site that aims to profit from the advertising and sale of options. Practice has shown that particularly affected sites with low value content, text, keywords oversaturated with a large amount of advertising (banners, pop-up, etc.) And outbound links. By the way, Yandex also took into account the semantic component, running August 22, 2017 A new algorithm Korolev,who became a logical continuation of the earlier development of Palekh (2 November 2016). The algorithm analyzes the entire document to match the semantics of the search query and the theme. Therefore, the so-called “exact match” is not so fundamental. Machines are trained not just to read and understand the content. It uses a neural network – a computer model that makes decisions based on a variety of factors, establishes laws and learns from mistakes. Just like people, the ability to think and work on yourself! All this should be taken into account if you want to see your site in the top positions in the future and forget the “clumsy” methods of the past. The user must immediately understand that it isLimit symbols for Google is 70 (about 12 words). Headline better drafted so as to avoid perespamaUnreadable, deliberately re-optimize the proposal in terms of a living person causes rejection and worse perceived by search engines with new generation of algorithms. The title should be concise, meaningful and grammatically well-formed. Multiple offers with keywords. Length of 160 to 200 characters. Using search engine robots description snippet form – page description. If Meta tag is not written or compiled correctly, the robots automatically create a snippet of fragments of sentences. Contents are generally intended to solve marketing problems (for commercial sites). Due to a sufficient volume, it allows to announce important information about the product, service, conditions and offers much more, depending on the objectives pursued. Search engine compares the contents of a particular page with keywords prescribed for her, given compliance with the following definition of site position on these requests. Proper use of this attribute will not be superfluous, even though its value to search engines has declined considerably. Usually it is from 3 to 6 words or phrases are listed separated by commas. Avoid perespama and give preference to the words that best meet the expectations of visitors. What are the Technical Meta Tags? Internal optimization of web resource is unthinkable without the inclusion of certain useful features. If you are using for your Site on the WordPress SEO-specific plug-ins, most of the problems are solved without your intervention. Contains information about document type and encoding. It affects the proper display of the page in the browser. It carries information about the language of the content. Even with automatic language detection is not excluded incorrect settings, in this case, the tag will be useful. It allows you to specify the update time for the page. Instead of 404 or download time directs the user to a new section. It shows a robot which pages to include in the issue, and what – no. You can specify the author of the page content. visual component of your site is important not only for its enrichment and decoration. Images traditionally attractive than text, but they may require more time to load. The size and quality of the images can severely slow the loading of pages, thereby cutting off most of eager visitors. However, a properly fitted, short and decorated tagged pictures in front of a great helper in the promotion of a web resource to the coveted top positions. You can compress and draw pictures manually, wasting time, as if we still live in the 20th century, or use this handy application. An important consideration when working with images in terms of SEO is to fill the title for images and alt. These tags help search engines understand what is depicted in the picture. Moreover, the text of the title tag appears here and more visitors when you hover the cursor over the image. Therefore they are related to the filling of the data from all partiality. WordPress allows you to add tags directly when downloading images. Have you planned a lot of images and need to have a comfortable gallery to work with them? The developers recommend the use of Envira Gallery plugin. Speed testing has demonstrated that it is the fastest WordPress plugin gallery. A speed as you know, is equal to the currency of the Internet. It is also optimized for SEO purposes. Envira Gallery – This plugin allows you to work comfortably with lots of images, including uploading their archives ZIP. You can edit and customize the instant display and sell your photos with the help of the most popular programs of e-commerce on theInternet,share on social networks to import photos from Instagram, Dropbox and more. Gallery adapted to all devices and works by Drag & Drop. Smush Image Compression and Optimization – A popular plug-in for image compression, awarded the championship in 2018. The time-tested and the user experiences a tool for changing the image size with the possibility of maximum width and height, reduce the large images as they are compressed. Compatible with other plugins WordPress greatly simplifies working with images for SEO needs, among other things. How to Set Up SEO for WordPress Site Using Plugins? Again, we have good news for those who create their own websites and blogs on WordPress! The entire array of special information to customize SEO, like an iceberg, the tip of which you have just seen in our material, it may remain “behind the scenes”. Numerous topics designed WordPress, taking into account the needs of the creators of the sites already meet most of the requirements of search engines in terms of design and page loading speed. Configure SEO-parameters prescribe meta tags and much more even easier with the optional loadable plugins. Their number is constantly growing, but the leaders, because of their superiority, are two: Yoast SEO and All-in-One SEO Pack. Yoast – this is the most frequently used plugin for setting SEO-parameters on the WordPress site. This is evidenced not only the number of downloads, which, by the way, more than 5 million as of 2018, but positive feedback from users. The plugin is regularly updated and improved. This is probably the simplest and most perfect of the tools available for SEO. Judge for yourself. Key phrases. In the Yoast SEO Premium plugin , you can choose up to 5 keywords. One focus keyword is available for the free version. Checkcontent the quality ofoptimization, to identify keywords and whether there is enough perespama of keywords used. Internal links. Are you familiar with the concept of “relinking”? When installing the premium version, you can not complicate their lives with the development of internal links placement rules. Yoast because it will make itself. After analyzing your text, the system will offer options of links to create optimal connections for the perception of search robots. The preview of each page on Google. Thanks to the built-in editor fragments can be “seen through the eyes of the user,” as the page would look in their desktop and mobile versions. Rate before the publication of how content looks attractive and correct it if necessary. An additional option to the paid version is a preview links on social networks Facebook and Twitter. Check readability. In the virtual world, people do not read, they scan. Want visitors peruse your content? Yoast SEO will show you exactly what it needs to do, basing their recommendations on the results of scientific research readability Flesch Reading Ease. Elimination of duplicate content. The panel Yoast SEO is enough to specify a URL-address as the original. Technical adjustment automatic and manual. In principle, the plug-in takes care of the SEO-configuration within the site. However, you can edit the robots.txt and .htaccess files to work independently are URL-addresses, create and update your Sitemap, if possessing the necessary technical capacity and knowledge. Check the content relevance. The premium version is available analysis of the correspondence of text keywords and the stated topic for 5 words or combinations of words to increase the probability of a good Google ranking, Bing and Yahoo. The free version of this plugin will have to do yourself. In addition, the function works under a limited list of languages, so check to see if it will work on your site or blog. Redirection Manager. What is he doing? It keeps your visitors! After all, they are no longer alienate page “404 Not Found». If you remove something from the site or will transfer the information to another URL, a function to redirect the visitor to the actual page. It is very important to do it systematically and for portals, news sites it can become a problem: too many pages to correct manually. Redirect Manager after deleting posts or pages will ask you what to do with the old URL. You can also go to the menu “Forwarding” to view and update all the redirected page, set “REGEX redirects” to specify that all URL-addresses that contain a certain word or phrase must be redirected to the following page. While the option is only available in the paid version of the plugin. You decide how much you need it for your site. Updates to the Google algorithm. You may have already heard about Google Panda and Google Penguin? These are the basic search algorithm updates, but not the end. Changes in the algorithm are made of 500-600 times a year. Yoast SEO is updated at least once every 2 weeks, which guarantees account of current changes. Extension works in Premium-version. Once you install the Yoast, your editor control panel will change, there will be new widgets. Yoast algorithm goes through your content, so you can make sure you’re using the right keywords and place them correctly. It forms the summary records of readability and offers to correct inaccuracies. In short, it is a real assistant editor for the beginner and for the developer. As a result, even though the Yoast team has done a great job trying to make SEO beginner-friendly, there’s still a good chance you need some help with how to use Yoast SEO. All in One SEO Pack – the second most popular plug-in, created a year before the leader. For 10 years it downloaded and installed more than 4.5 million users of WordPress. It is simple to setup, intuitive. Additional advantages has SEO Pack Pro paid version. If you need a license for a large number of sites shows notable advantages over the same Yoast, for example. Supports XML Sitemap for search engines Google and Bing systems. Support Google AMP (Accelerated Mobile Pages (https://www.ampproject.org/accelerated mobile page). Although AMP is not yet officially ranked factor, however, he sets in motion traffic, affecting the rating. If we talk about specific numbers, that comes to mind is the experience of the introduction of AMP Washington Post, showed an increase in the number of users and the returns from mobile search by 23% during acceleration load villages by 88%. Support for Google Analytics statistics. Support for SEO in custom message types. Automatic prompt reporting to the search engines about the changes on your site. Built-in API. 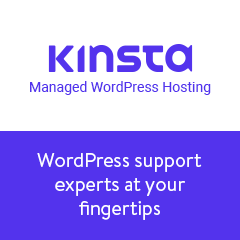 So other plugins and WordPress themes can extend the functionality. The free plug-in for integration in SEO for e-commerce sites, including WooCommerce. Nonce Security, Built-in SEO package. This is to protect you from certain types of malicious use of the capabilities of your site. Automatically optimizes your titles for Google and other search engines. Automatically generates meta tags, if you do not have to write by hand. Creates a Title tag, Description and Keywords. Allows you to avoid duplicate content, comparing it with the texts in the WordPress blogs. Compatible with a huge amount of other plug-ins. There are additional features and modules for SEO Pack Pro. SEO Pack Pro includes a subscription to support and upgrades, which gives you access to technical support, as well as video tutorials library. Apart from SEO-plugins in WordPress, there are some extensions to accelerate mobile pages. You can use the package offer or be limited only to such a plugin, as well as complement the functionality of its editor. We propose to get acquainted with one of the popular AMP plug-ins. Based on many years of experience with the sites and the creation of WordPress, we believe that SEO is a powerful tool in the fight for audience and revenue in each business niche, so it must be something logical and durable. You will not regret it if you initially create useful and interesting content to people, and automation of individual processes through effective plug-in will save not only time but also to reduce the budget for each resource. We hope that our material has been useful to you. Tell us your opinion in the comments. You might want to share it with your friends? So do it!